Shorethyme Restaurant is situated at Norah Head, a fine modern Australian restaurant on the Central Coast (at the Northern end) with Mediterranean and Thai influences. The area is famous for its historical lighthouse and its spectacular rock platforms and beaches. Since 2003 Head Chef and owner Stuart Downes, together with other family members, has been instrumental in making this restaurant one of the finest on the coast. The creative and original dishes are a pleasure to behold and taste, highlighting Modern Australian dishes with Mediterranean and Thai influences. There is a charming alfresco courtyard at Shorethyme that many patrons take full advantage of; especially on warm, balmy summer nights. 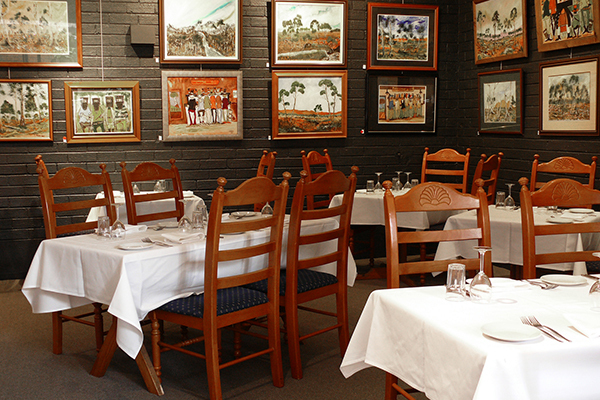 While some prefer to sit outside, others dine inside to admire the ever changing artworks by Central Coast, Newcastle and Sydney Artists that adorn the restaurant’s walls. You will find a warm and friendly welcome and prompt, efficient service from the wait staff. A good selection of wines and beers are also available to accompany the meals. The restaurant can cater for up to eighty-two diners at any one time, so is ideal for parties, weddings, business dinners and other similar functions. With all major credit cards accepted, ample street parking, excellent service, interesting blackboard specials and fantastic food from the ‘al a carte’ menu, it’s a restaurant worth a visit.